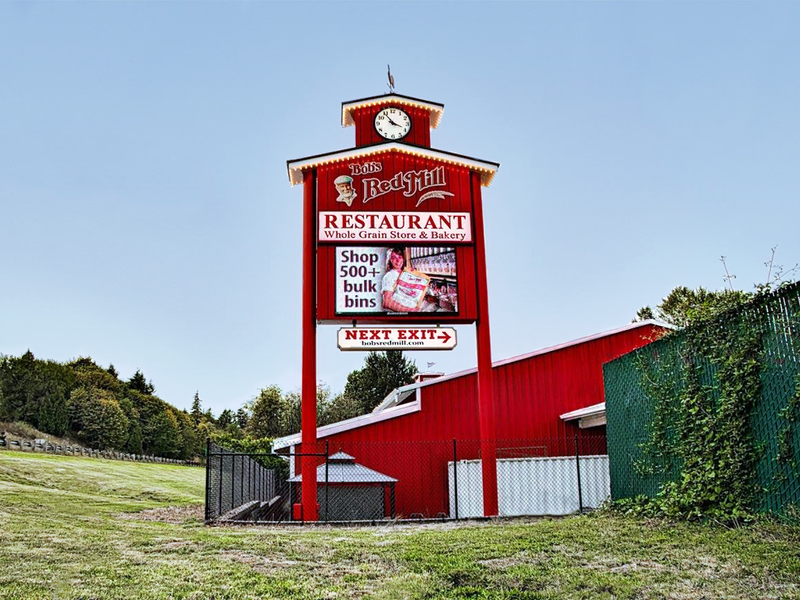 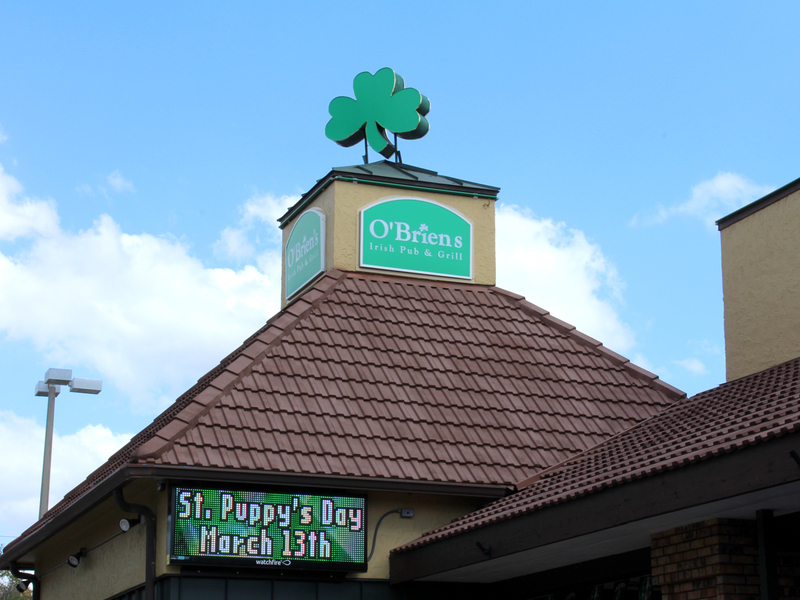 Installing a Watchfire LED sign can help increase your restaurant’s visibility in the community, reign in your advertising costs and boost your profits. 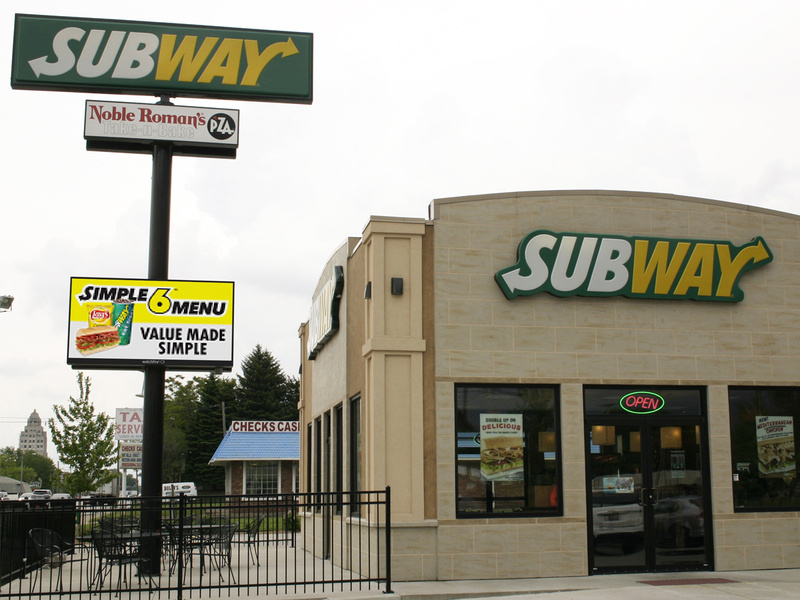 Many restaurants, both full-service and quick serve, use traditional manual letter boards to promote offers and announcements. 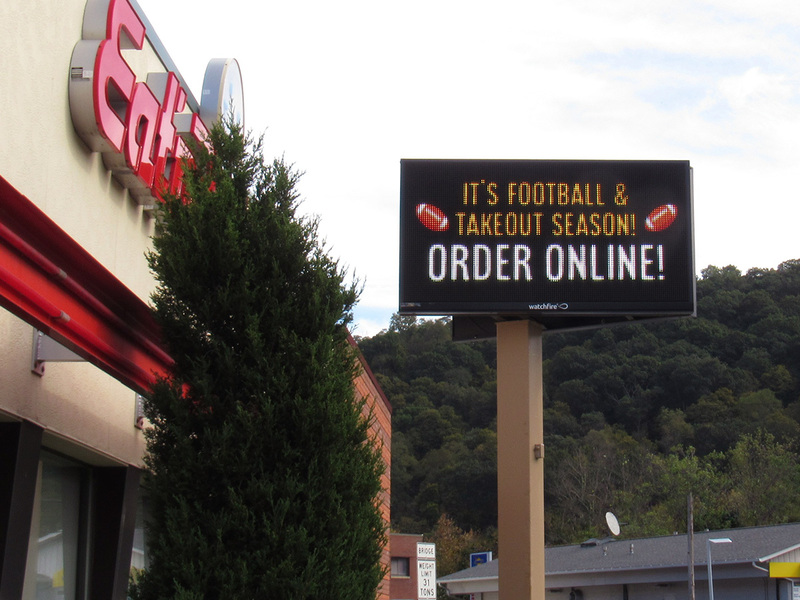 There are numerous problems with manual reader boards, and we've helped many restaurants make the transition to digital. 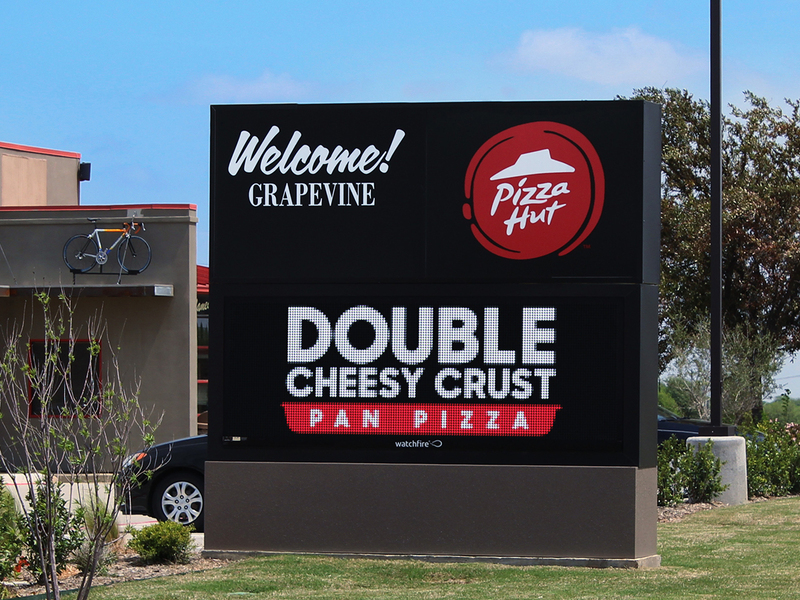 Manual reader boards are difficult and time consuming to change, are prone to vandalism or changing letters around, and can be a safety hazard for employees. 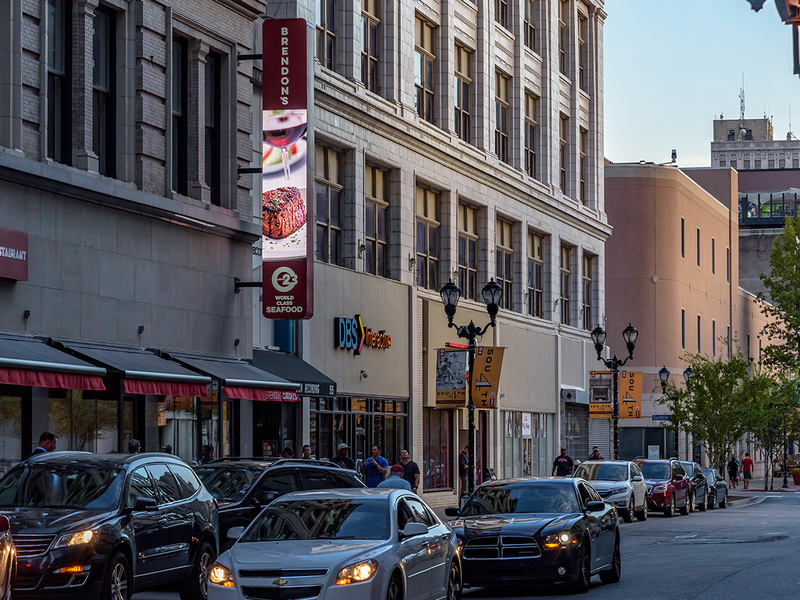 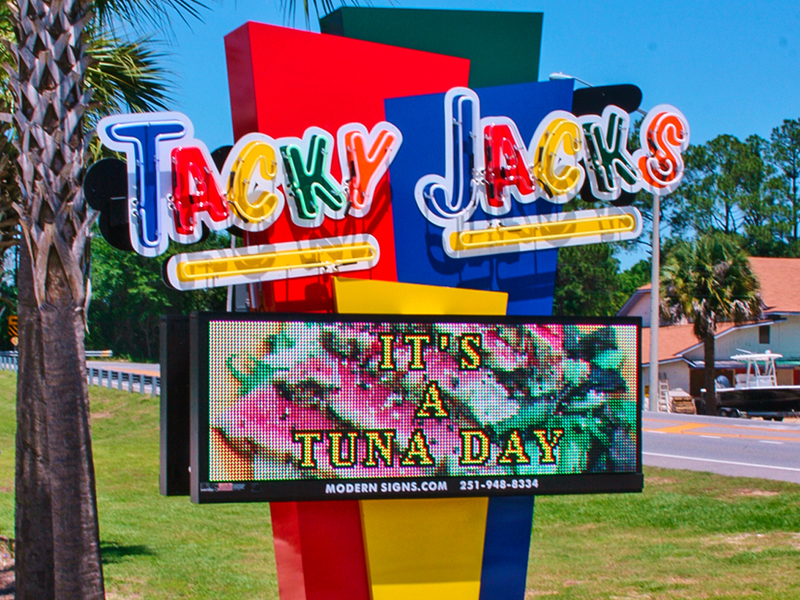 Outdoor digital signage improves upon the old manual boards by nearly eliminating the labor needed to update the sign and providing instantaneous relevant messaging. LED signs offer a significantly safer, faster and more dynamic messaging tool that has a proven track record of increasing foot traffic and boosting profits. 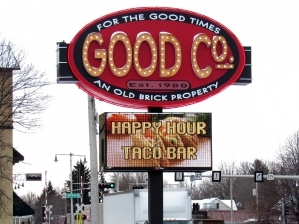 With a Watchfire LED sign, you can tailor your messages by time of day or season to create demand and excitement for hot selling (or soon-to-be hot selling) items. 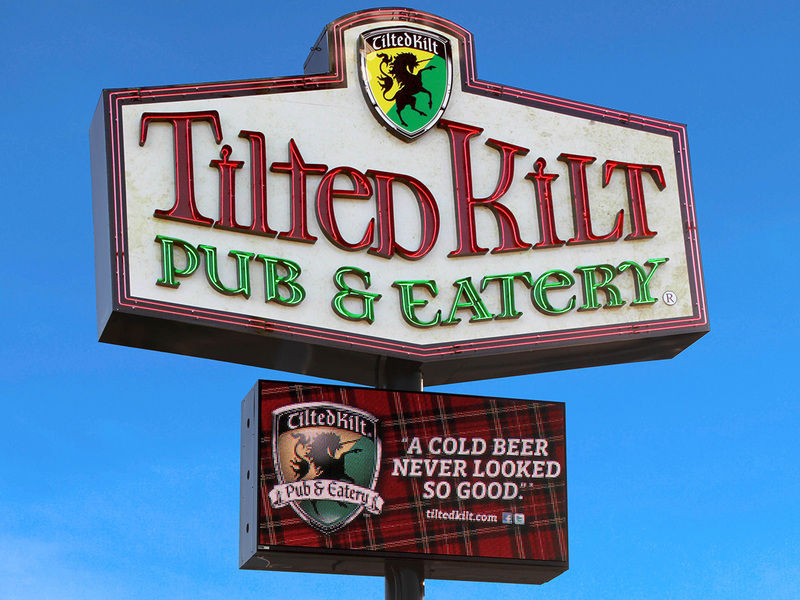 Advertising breakfast specials in the morning and happy hour or appetizers in the afternoon gives your messaging timeliness and flexibility that no other traditional form of advertising can offer. 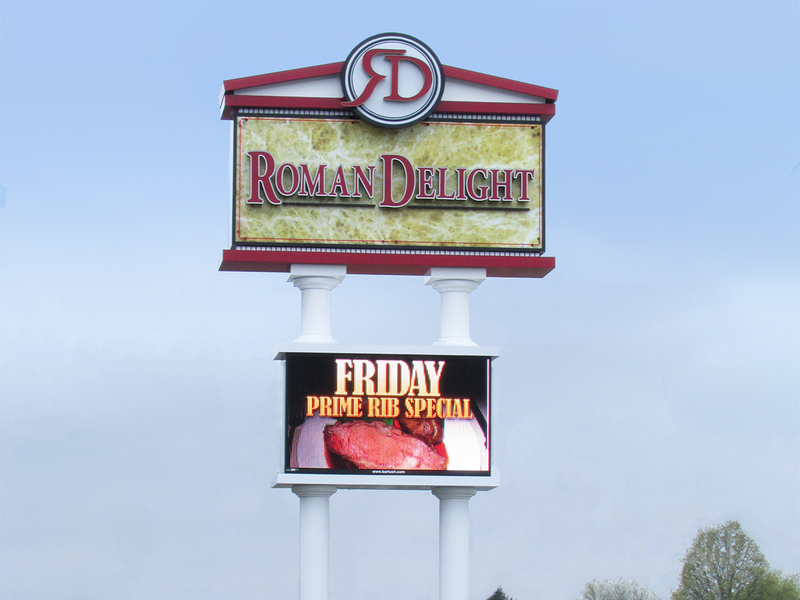 A digital sign is an outdoor point-of-purchase display that attracts customers into your parking lot. 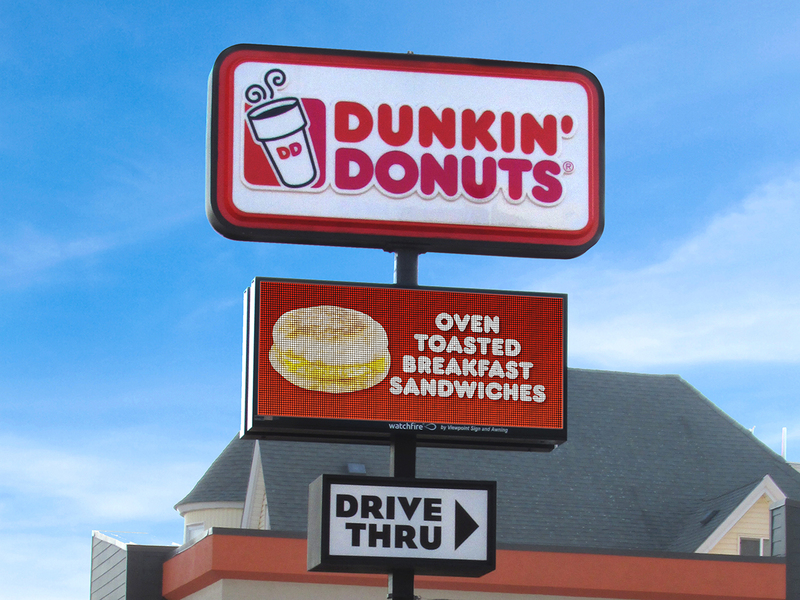 And even if a customer doesn’t stop in today, it’s a reminder every time he or she drives by your location. 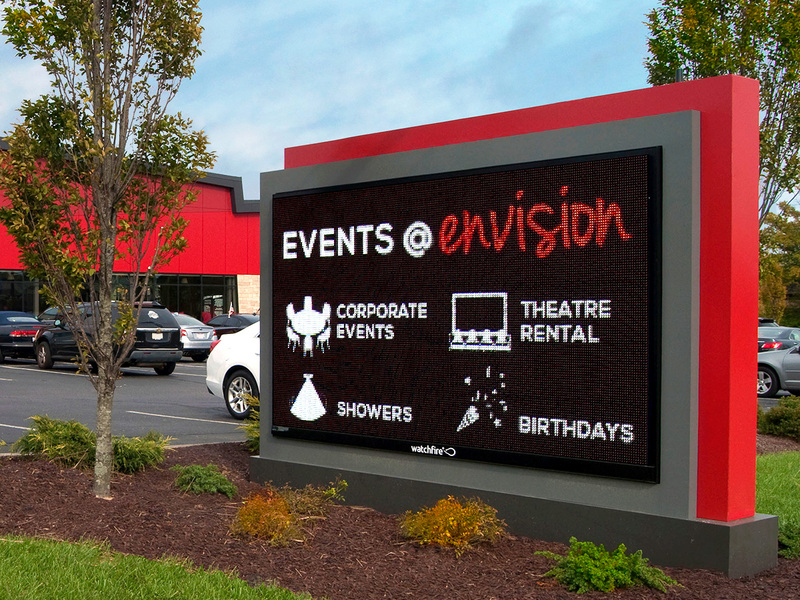 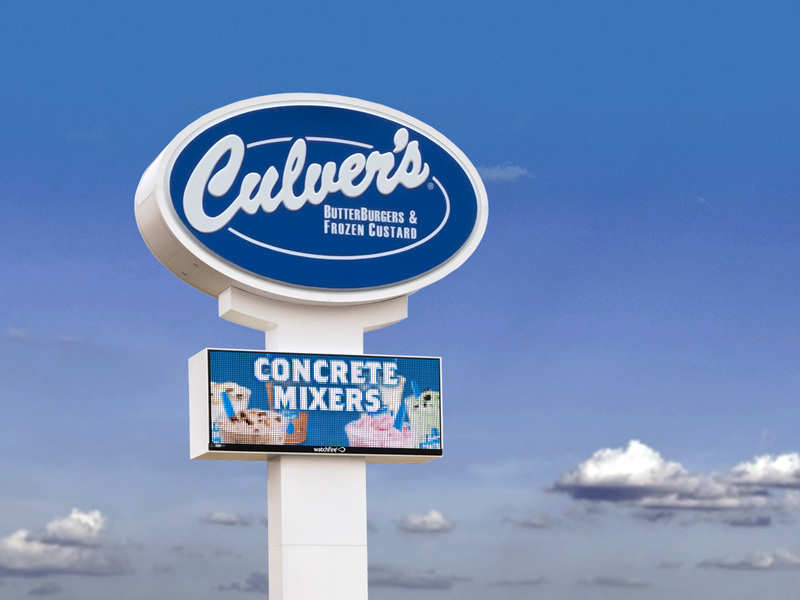 Plus, as opposed to static signage, an outdoor digital sign gives you the ability to advertise multiple promotions with eye-catching efficiency. 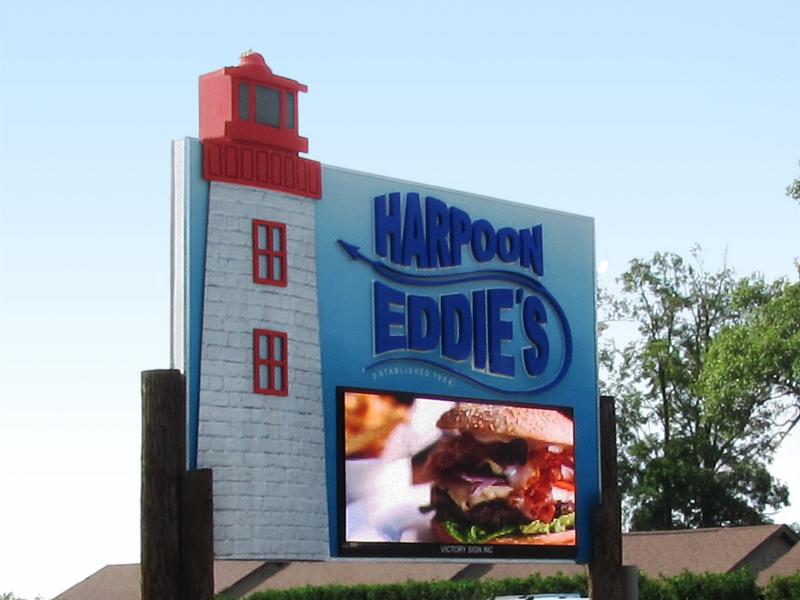 Some restaurants are even using their digital signage in support of their social networking activities, driving customers to share experiences, reviews and recommendations on social media. 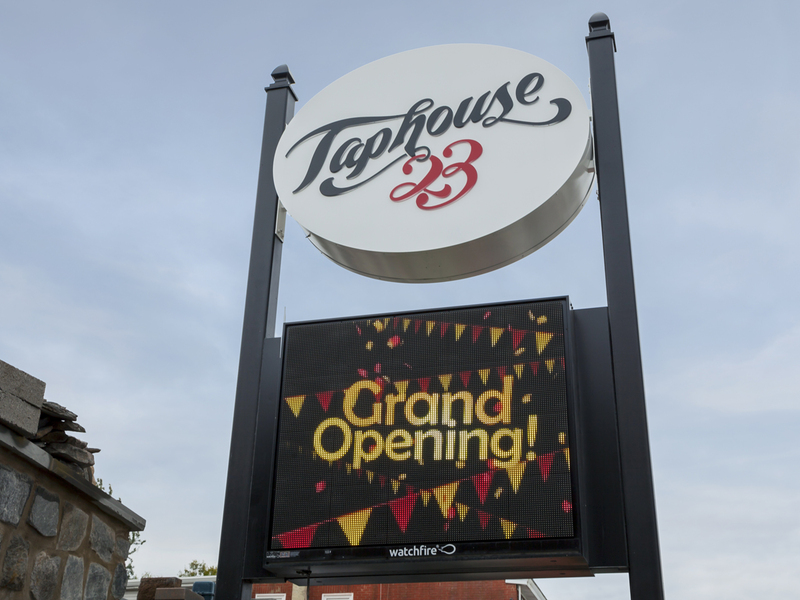 This creates another opportunity for customer engagement and can help inspire good old-fashioned word of mouth, even though it’s a new way of doing it. 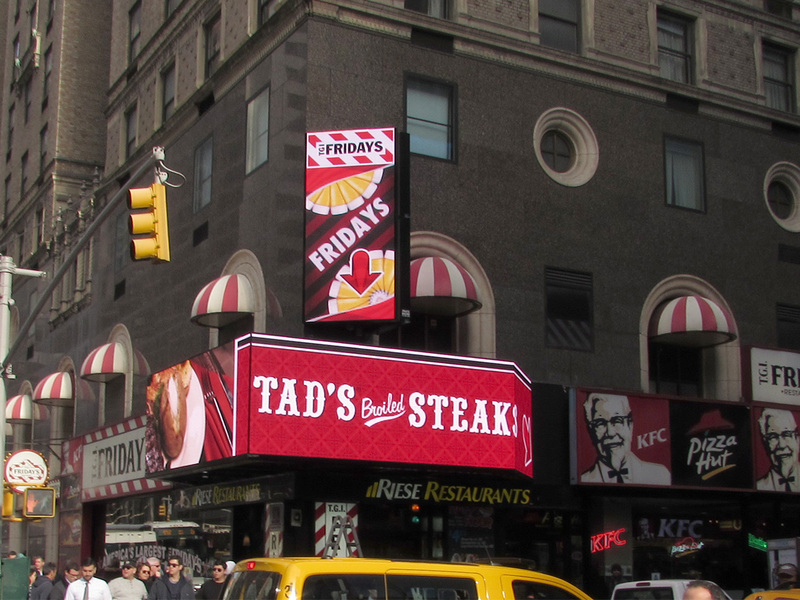 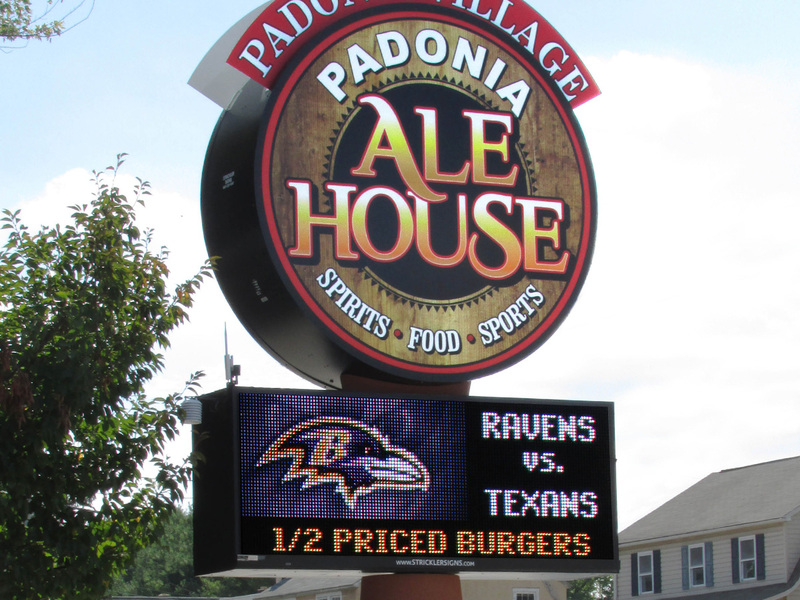 Browse our gallery to see examples of how restaurants are using outdoor LED signs. 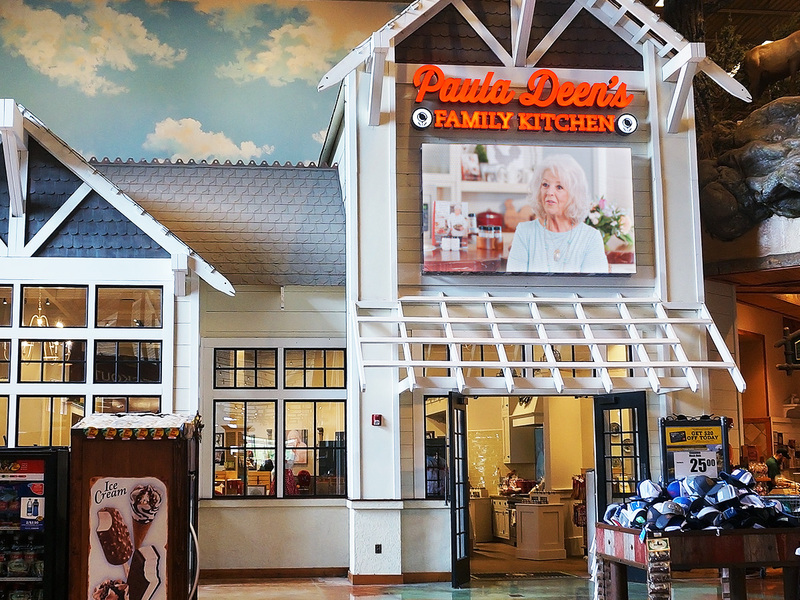 TGI Fridays; 10mm, 6'5" x 46'11"
Eat'n Park; 16mm, 4'5" x 8'3"
Paula Deen's Family Kitchen; Indoor 4mm, 5'8" x 9'5"
Bob's Red Mill; 16mm, 5'5" x 9'3"
Roman Delight; 19mm, 5'5" x 9'3"
Harpoon Eddie's; 12mm, 3'5" x 7'3"
Padonia Ale House; 19mm, 3'5" x 8'3"
Tilted Kilt; 16mm, 6'6" x 11'11"
Good Company; 16mm, 4'5" x 8'3"
Taphouse 23; 10mm, 4'5" x 5'3"
Tacky Jacks; 12mm, 2'5" x 6'3"
OBriens Irish Pub & Grill; 19mm, 2'5" x 6'3"